The results suggest that one unifying characteristic among the consumers surveyed in the three countries is their strong view of individuality: 6 in 10 agree that people should be able to marry, live and work however they want; and about half agree that success is determined by the individual, not by others. 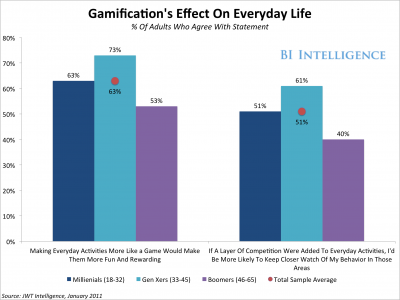 Complicating matters for marketers trying to segment individuals: what they say and what they feel may be different. The researchers conducted two studies to gauge conscious and unconscious attitudes: a quantitative online study, and an implicit measurement study measuring unconscious consumer attitudes. Digital video is surging. According to Cisco Systems, US internet video traffic in 2012 averaged 4.6 exabytes per month, and by 2017, that figure will more than triple to 17.1 exabytes per month. As internet video takes off, the number of advertisers clamoring to invest in the format will continue to rise. A strong understanding of the performance metrics and audience breakdown for digital video ads will be critical to marketers. In Q1 2013, in-stream video buying platform VideoHub analyzed digital video impressions on its network and found some surprising results. While web video is most often watched by men, VideoHub found that 53% of total digital video ad impressions were served to women, with males seeing the remaining 47%. Younger web users conducted the vast majority of video viewing, indicating that marketers targeting teens and millennials would be well served by video ads. Those between 12 and 24 years old accounted for more than half of all viewed video ad impressions on VideoHub’s network. Performance metrics based on the size of US video ads saw a clearer trajectory than ad length. The larger the video ad, the higher the completion rate, with a 93.0% completion rate for extra-large video ads vs. a 66.0% completion for extra-small video ads. Clickthrough rates (CTR) also seemed to rise with video ad sizes. However, once ads were medium-sized or bigger, CTRs went up to at least 0.9% and continued to hover in that range. Ads in the medium to large range were also the most common video ads, accounting for 77.4% of served impressions, indicating that marketers know these sizes are strongest. A larger slice of Facebook marketing budgets is being spent on paid ads, according to recent surveys from Ad Age and RBC Capital. 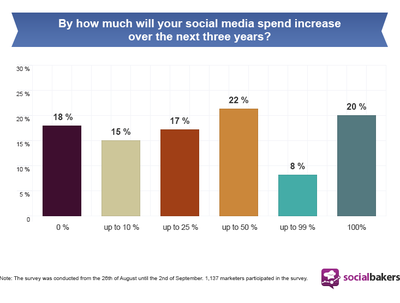 In the August 2013 survey, 74% of respondents said their Facebook marketing budgets includes spending on paid ads. That’s up from just 54% who said so in June 2012. However, in many cases, paid ads still account for a small proportion of their spending on Facebook. 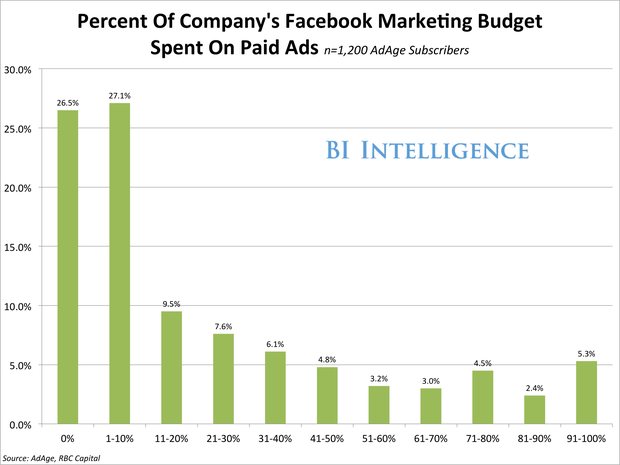 For 27% of survey respondents, paid ads made up just 1% to 10% of their Facebook budget. Only 18% of respondents spent more than half of their Facebook budgets on paid media. Many brands spend the lion’s share of their Facebook marketing budgets on content production and social media management, rather than paid advertising. However, as Facebook’s paid ad products mature, we expect to see more and more marketers wading into paid media. Meanwhile, the percentage of companies using Facebook as a marketing channel is 80%, and that proportion has remained consistent over the past 15 months. Survey participants noted that brand awareness was the most important reason for advertising on Facebook, followed by driving traffic to their website. The survey encompassed 1,200 Ad Age subscribers who answered questions on three separate occasions since June 2012. A growing contingent of client-side marketers are turning to in-house agencies to take more ownership of their advertising and marketing strategy. According to an Association of National Advertisers (ANA) survey, 58% of US client-side marketers said their company used an in-house agency this year, compared to only 42% who five years earlier said the same. And 56% of respondents said in May 2013 that in the past three years, they had moved at least some established business previously handled by an external agency to their in-house agency. Magazine advertising, social media, online display advertising and search engine marketing were the services most commonly handled by an in-house agency, according to the study. The proliferation of digital marketing channels may be convincing companies to move more marketing in-house, so they can be more responsive and create a full breadth of material at lower cost. Still, only small percentages of in-house agencies handled most of these services, indicating that much work still sits squarely with external agencies. Traditional TV and radio advertising were the least likely formats to be handled in-house. 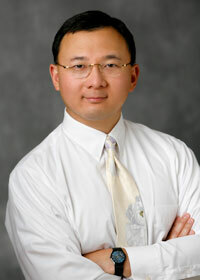 Marketers cited cost savings as the most significant advantage of bringing agency work in-house in 2008. This year, it remained the top advantage, however one cited by far fewer respondents. Five years earlier, more than half of marketers saw cost efficiencies as an in-house agency’s primary advantage, whereas in! 2013, that figure had dropped to 35%. Other factors instead took on greater precedence: 19% of marketers cited brand expertise, as well as institutional knowledge and the added benefit of a team dedicated to the company or brand. This indicates that marketers have become more satisfied by the quality of work created by in-house agencies. But the disadvantages also stacked up. Forty-five percent of the survey respondents said it would not be as easy to stay on top of key trends with an in-house agency. That was more than the percentage of marketers who saw this as a challenge in 2008, and suggests that digital channels amplify the importance of understanding the latest marketing opportunities. Creative innovation was also seen as more lacking when agencies moved in-house, along with limited skill sets among the staff. The digital marketing age seems to be forcing marketers to navigate between two competing impulses—the need to produce more marketing than ever before across ever-proliferating channels is making in-house agencies particularly attractive. But the skills needed to effectively leverage and communicate via these channels are still often seen as best handled by agencies fully dedicated to the advertising and marketing space. Facebook revealed in a white paper that its users have uploaded more than 250 billion photos, and are uploading 350 million new photos each day. To put that into perspective, that would mean that each of Facebook’s 1.15 billion users have uploaded an average of 217 photos apiece. These numbers do not include photo uploads on Instagram. Instead, respondents – a mix of marketers of clients (26%), ad agency employees (30%), and media company employees and consultants (44%) – were much more inclined to tab Facebook a “useful but still optional part of my strategy” (45.5%) or “a regular element of my strategy” (43.8%). Nevertheless, marketing on Facebook is undoubtebly important, and that seems to be the case in particular when it comes to its mobile application. About 3 in 4 respondents to the Ad Age and RBC survey said that, based on their marketing objectives and needs, it was “very” (33.1%) or “somewhat” (41.4%) important for them to market on Faceb! ook&rsquo! ;s mobile app. Facebook budgets remain fairly low for the time being. 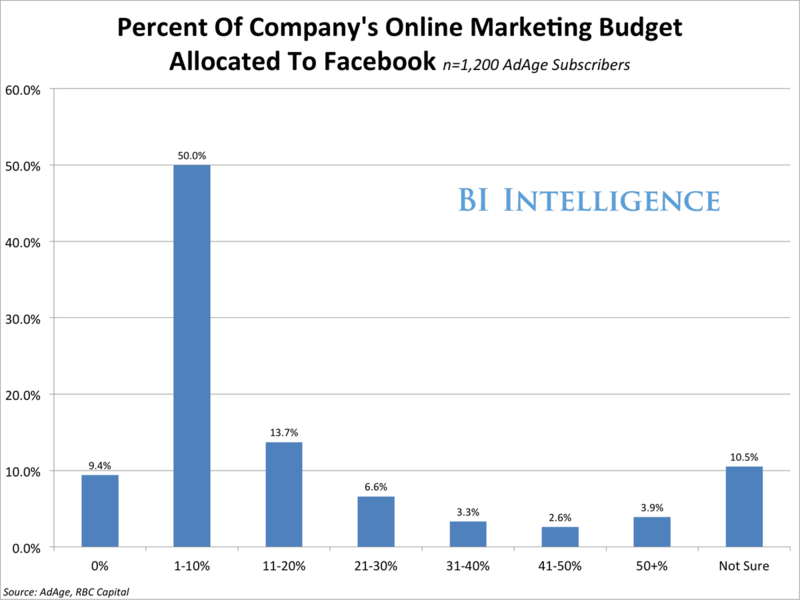 Half of the respondents indicating that they’re currently allocating between 1 and 10% of their online marketing budgets on Facebook. More than 7 in 10 are spending some of those budgets on Facebook ads, with slightly more than half expecting their ad budgets to increase over the next year. Interestingly, respondents indicated that the most important goal for their Facebook advertising efforts is to build awareness and sentiment for their brand. While that’s consistent with last year’s Ad Age survey, a recent study from Econsultancy found that more global marketers cited lead generation (37%) than branding (27%) as their main social media advertising objective. In this latest survey from Ad Age, lead generation was one of the least important Facebook advertising goals, behind the aforementioned brand awareness, driving site traffic, building fans or likes, and staying in touch with customers.